0512 - The Garden Party - Heroes Inc.Heroes Inc.
He’s the most insidious type of villain: he’s killing them with kindness. 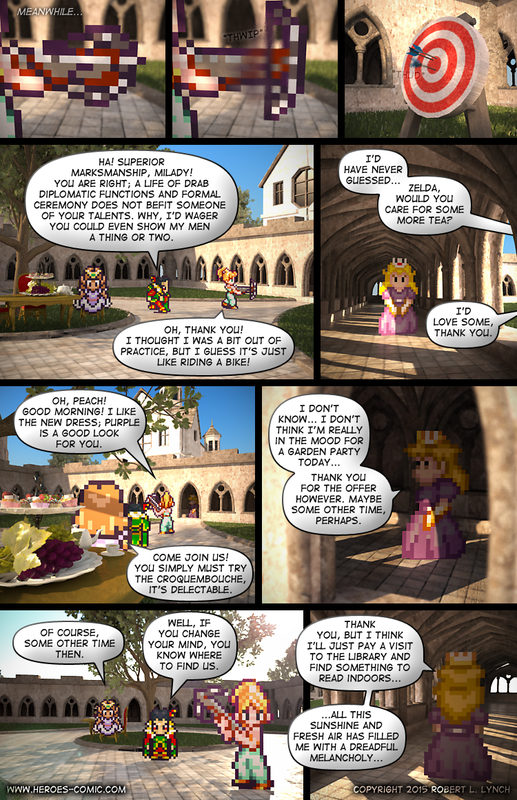 This entry was posted in Story and tagged Marle, Peach, Victor Damien, Zelda. Bookmark the permalink. boy I really don’t have this guy figured at all, whats the plan? ROB! Send me an email. 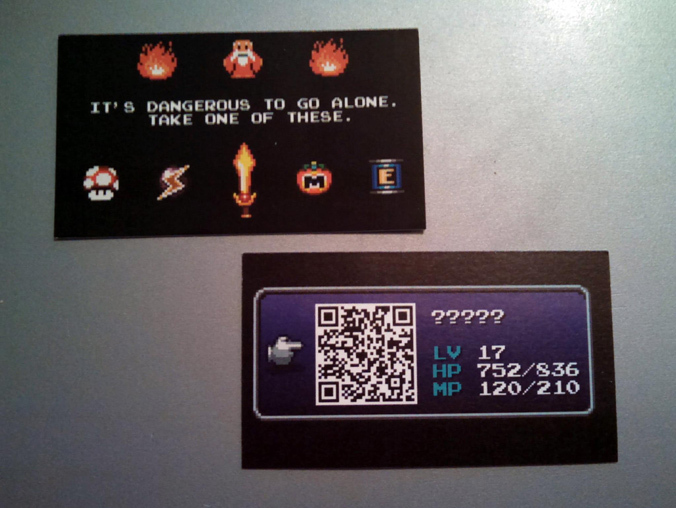 If you can send some of those cards my way I’d love to spread them around. I frequent a few nerd hangouts where a card like that and a comic like this would go over HUGE. Yo, I sent a message to the email your comment lists on Saturday. Is that the best address at which to reach you? Hey, Robert. It might be a good idea to update the ‘Cast’ page if you get a chance. @viperzerofsx I’m pretty sure it was mentioned that Victor wants to revive Kefka. Why, who knows? @Mr Will: I sent you another email. @LilackSuntra: I’ll make a note and see what I can do this weekend. 0512 – The Garden Party – Heroes Inc.Heroes Inc.